How to add cinematic color grading to your photos in Photoshop? 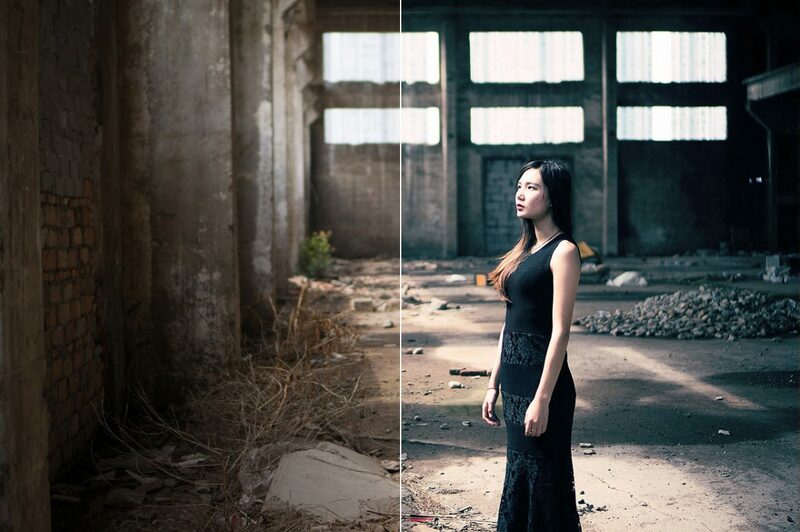 Follow these simple steps to give your photos a blue cinematic color grading. The idea is to give the shadows a teal/blue color tone without turning the person in the picture completely blue but rather keep the skin tone as natural as possible. Basic knowledge of Curves adjustment layer is needed when following this tutorial. You can download the photo that we have used in this tutorial here or you can use your own photo but just remember that if you are working on another photo these exact setting won’t work since every photo is unique but you will get an idea what to do to achieve similar results. Ad another Curves adjustment layer and set the blending mode to Color and name the layer color. On this Curves layer we are going to edit the alpha channels (red, green, blue). Lets start by editing the red channel. You will want to add cyan to the shadows and hint of red to the highlights. Pick the green channel next and add a hint of green to the shadows to turn them teal and add tad of magenta to the highlights. Last pick the blue channel and add a little bit of blue to the shadows as you see fit and add a little bit yellow to the highlights. You can fix any saturated colors by first selecting the alpha channel that needs editing and selecting the hand image in the curves window right above the eyedropper. Select a spot that is saturated and it will create a new point in the Curves line that you can then adjust for example with your arrow keys (up & down). Last add a Channel Mixer adjustment layer, lower the opacity to around 15% and go through the presets and select a preset that works for your image. For this image I chose ‘Black & White with Orage Filter’. Adjust the opacity and adjust the color settings if needed. Interested in more color grading options? Try out our Fashionista Photoshop Actions.